There are a couple of things wrong with this. First, tall buildings ARE the objective of Mayor Marvin Rees and cabinet member for planning Nicola Beech. 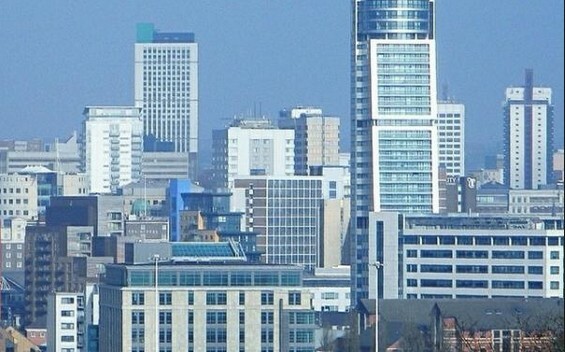 They have said so many times in speeches and public declarations, and have lamented that Bristol is “falling behind” Manchester and Birmingham in the number of tall buildings. This is a race that we are losing, they say. We desperately need to catch up by building more towers because they “express ambition and energy”. In other words Paul Smith is fudging the aims of his colleagues. Second, the pink bits in the Urban Planning SPD have something in common. They are mainly in the most beautiful, pleasant, and (partly because of that) economically most active parts of Bristol. Of course developers want to build there! The question is, does that make sense? Is that the way a forward-looking city should be looking at what’s been handed down, its beauty and attractiveness? In a recent survey Bristol was named as the UK’s No 1 IT city in terms of value added per employee – ahead of London, Cambridge, and all others. Bristol’s pool of skilled talent is a key draw, but the second reason that employers give is the drawing power of the sheer pleasure of living in Bristol. The city is beautiful and pleasant to be in, so skilled people are attracted here. Build over the centre so that it is no longer beautiful, but looks like any other generic high rise city? Just the job! Very practical! Lovely Leeds – the future of Bristol? 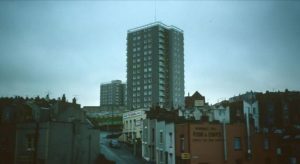 The result of this kind of approach can be seen in Leeds, which has allowed its historic centre to be taken over by skyscrapers. Arriving at Leeds station you are confronted by a nightmare jumble that is generic, unattractive, stressful and confusing. At the recent Future Cities conference I mentioned to an academic from Leeds that Bristol planned to do what Leeds had done. “I don’t think anyone much in Leeds would now want to do what Leeds has done to itself,” she said. To allow developers to build tower blocks in the most beautiful parts of the city doesn’t make much sense. Better, maybe, to designate the Urban Living SPD’s pink bits as places you cannot build tower blocks. That’s partly tongue-in-cheek. However the fact is, beautiful parts of the city will always attract planning applications. This has to be controlled, otherwise it has the potential to ruin the city. The free market does not necessarily beautify. A better approach would be to encourage large-scale development in a few strategic areas where developers do not now naturally want to build. St Phillips Marsh springs to mind, with its marvellous road connections and proximity to Temple Meads, and potentially attractive riverfront. It now has acres of dull single storey boxland commercial buildings, which have potential precisely because they are run-down, under-used, yet well-connected to transport and right in the centre of Bristol. Why not plan intense, mid-rise development here to house thousands of people in an attractive and vibrant environment, with excellent connections to the rest of Bristol? What I am suggesting is that the city must be prepared to lead the market rather than follow it. It should transform run-down areas into places so attractive that developers will want to invest in them. And at the same time it should preserve the parts that are now admitted by all to be the crown jewels of Bristol. Lead the market. Make the ugly more beautiful, not the beautiful uglier. Transform well-placed but run-down fringe areas into central areas. Have your high rise if you wish (though it makes no sense, since more people can be housed at less cost in mid-rise buildings, with better emotional and mental health outcomes). But do so where new buildings will really improve lives. The best way of showing “ambition and energy” would be to create extraordinarily beautiful places where now no-one would think to invest. Imagine something like Wapping Wharf in St Phillips Marsh. Why not? Tower Block in Windmill Hill. Is this the way to create a vibrant community? People living in nearby houses say they ‘never meet’ anyone from the blocks. Please, for all our sakes, show some real imagination. Display some energy! Don’t ruin our city by caving in to the developers.